As many as 100,000 Iranian-backed Shiite militia are now fighting on the ground in Iraq, according to U.S. military officials — raising concerns that should the Islamic State be defeated, it may only be replaced by another anti-American force that fuels further sectarian violence in the region. According to some experts, this still is an alarmingly high number. “The effect of the Obama administration’s policy has been to replace American boots on the ground with the Iranian’s. As Iran advances, one anti-American actor is being replaced with another,” Thomas Joscelyn, a senior fellow at the Foundation for Defense of Democracies, said in a recent phone interview. Garver said other Popular Mobilization fighters also consist of Sunni tribal fighters from Anbar and Nineveh provinces in Iraq. Whether the force size is 80,000 or 100,000, the figures are the first-known estimates of the Iranian-backed fighters. The figure first surfaced in a recent Tampa Bay Times article and marks the latest evidence of Tehran’s deepening involvement in the war against ISIS, with the U.S. military also confirming that Russian bombers are now flying into Syria from a base in Iran. 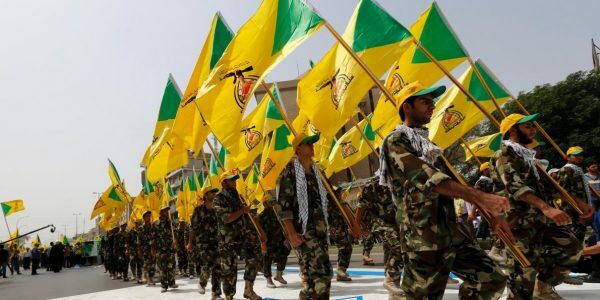 The growth also could create greater risk for Americans operating in the country, as at least one Iran-backed group vowed earlier this year to attack U.S. forces supporting the Iraqis. Even more troubling to the U.S. military are reports that Qassem Soleimani, an Iranian general who commands the Islamic Revolutionary Guard’s Quds Force, is now on the ground outside Mosul ahead of an expected operation to retake Iraq’s second-largest city which has been under ISIS control for the past two years. According to the Long War Journal, a spokesman for the Iranian-backed forces said earlier this month that Soleimani is expected to play a “major role” in the battle for Mosul. 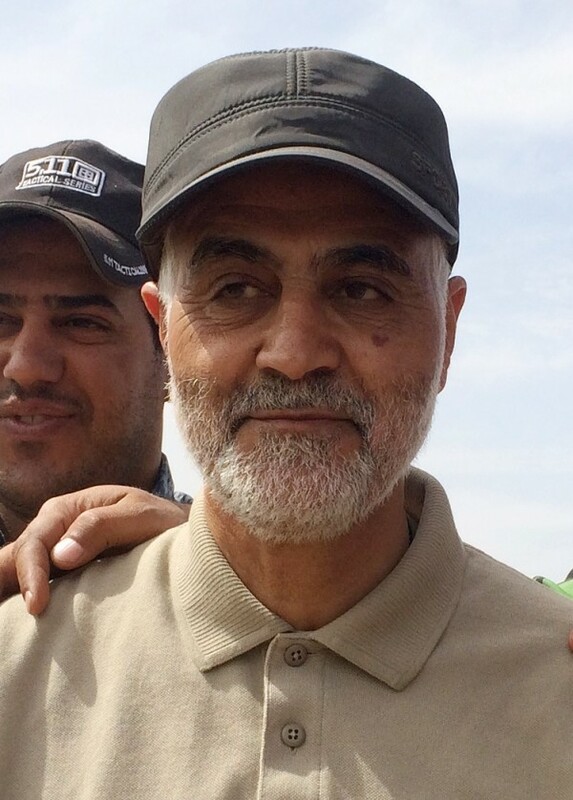 A U.S. military official could not confirm Soleimani’s presence in Mosul, but said Soleimani had been seen throughout Iraq and Syria in the past two years coordinating activities. Last August, Fox News first reported Soleimani’s visit to Moscow 10 days after the landmark nuclear agreement in July to meet with Russian President Vladimir Putin and top Russian officials to plan Russia’s upcoming deployment to Syria in late September. Soleimani is banned from international travel through United Nations Security Council resolutions. He was first designated a terrorist and sanctioned by the U.S. in 2005. In October 2011, the U.S. Treasury Department tied Soleimani to the failed Iranian plot to assassinate the Saudi ambassador to the United States at a popular restaurant in Washington, D.C. Soleimani’s Quds Force is the special forces external wing of the Iranian Revolutionary Guard, responsible for supporting terrorist proxies across the Middle East. At his confirmation hearing last year, Chairman of the Joint Chiefs of Staff Gen. Joseph Dunford was asked how many Americans were killed by Iranian-backed forces under the command of Soleimani. “The number has been recently quoted as about 500. We weren’t always able to attribute the casualties we had to Iranian activity, although many times we suspected it was Iranian activity even though we didn’t necessarily have the forensics to support that,” Dunford said. The threat to American troops remains. Last month, firebrand Shia cleric Muqtada al-Sadr — responsible for attacks against U.S. troops in Iraq a decade ago – once again called for his supporters to kill American troops. “[U.S. forces] are a target for us,” he said on his website. In March, one Iranian-backed group said it would attack U.S. forces after the Pentagon announced that hundreds of U.S. Marines were supporting Iraqi forces with artillery fire. “If the U.S. administration doesn’t withdraw its forces immediately, we will deal with them as forces of occupation,” Asa’ib Ahl al-Haq (AAH) said on its TV channel. The Iranian-backed group has claimed responsibility for over 6,000 attacks against U.S. forces in Iraq since 2006 and operates under the supervision of Soleimani, according to a report by the Institute for the Study of War. Meanwhile, there are more indications that Russia and Iran are expanding their military ties. The U.S. military has confirmed that Russian bombers flying from a base in Iran have bombed three areas in Syria. In addition to the up to 100,000 Iranian-backed forces in Iraq, there are thousands of Iranian-backed forces in Syria as well in support of President Bashar al-Assad. Some of these Iranian-backed forces come from as far as Afghanistan and hundreds have recently died fighting Syrian rebels in the city of Aleppo, according to recent reports. Must be really ticket off that Americans supply the Lebanese Army, instead of them.